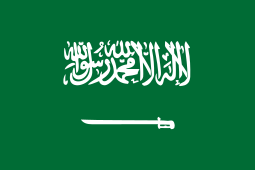 Rass (also spelled Ar Rass, AlRass, or Al-Ras; Arabic: الرس‎‎) is a Saudi Arabian town, located in the Al Qassim Province. It lies southwest of Buraydah, the capital of the province and also north of Riyadh, the national capital. It is the third largest city in Al Qassim Province by population, with an estimated population of 133,000 (2010 census). It has an area of about 60 km². Rass means "an old well" in Arabic, and it was mentioned in a poem of Hassan Bin Thabit, the poet who was a companion (Sahaba) of the Islamic prophet, Muhammad. The city is governed by the Al A'ssaf family. The city has 19 official sub-governorates, and is surrounded by around two hundred villages, and Bedouin settlements, mainly on its southern and western sides. Rass is located in Al Qassim Province, central Saudi Arabia. It is almost 400 km north of Riyadh, 50 km west of Unaizah, and about 80 km southwest of Buraydah, the regional capital. The city lies to the south of Al Khabra, to the west of Badaya'a, to the east of Qasr Bin Okayel, and to the north of Dakhnah. Rass has a typical Nejdi terrain, with sand dunes surrounding the town's sides, except for the western and southern sides, which are occupied by Bedouin settlements. The Wadi Al Rumma (Rumma Valley) crosses the city from its southern side to its north-eastern side. There are several medium-height plateaus, and low-height mountains surrounding the town, mainly on the southern side, which are called "Jebel Algoshie" by locals. The town of Rass has a typical desert climate, known for its cold winters and hot and aneroid summers, with low humidity. The average temperature during winter is between 8° and 21 °C. June, July, August, and September are the hottest months. In summers the degree could reach extreme levels (between 39° to 49°). The main team playing in the top-flight is Al Hazm.